Many people across the country experience back pain. 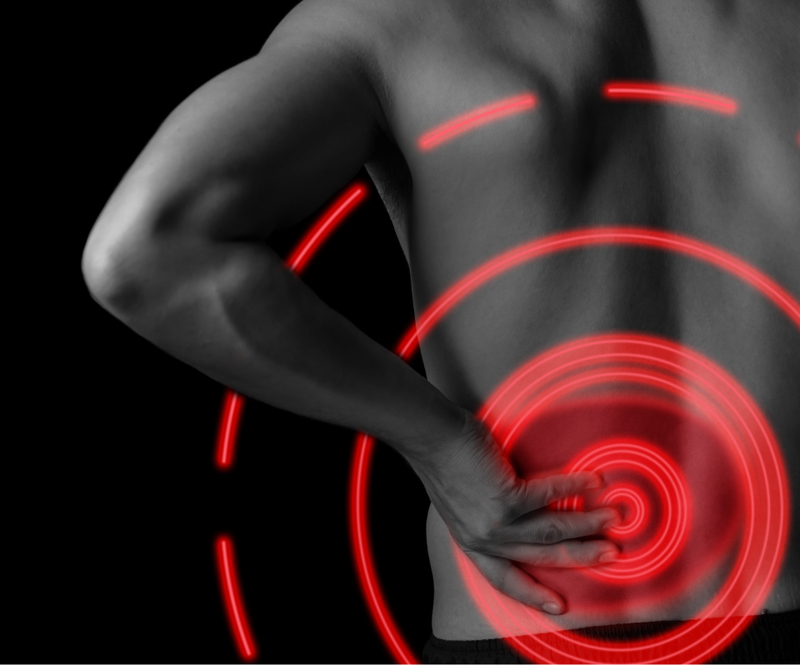 Muscle pain in the back can be caused by sleeping in a wrong position, twisting something, or a more severe health issue that needs to be addressed. At Heart of Texas Chiropractic, we have patients from all walks of life. Our expert chiropractor, Dr. Goodman, is experienced in examining different maladies and offering chiropractic care to successfully treat cervical spine pain, middle back pain, and other problem areas. Our patients have reported that their back feels continuously achy, dull, and tender. They have also noticed numbness, tingling, and feebleness extending into the leg, buttocks, and foot areas. Many individuals with lower back pain have lessened the range of movement in their hips. They also have weak sitting and standing tolerance and other postural irregularities which can contribute to the tension in their lower back. Whether your pain is caused by an auto accident, sports or work injury, or just life in general, we can help. After taking your medical history and conducting a chiropractic exam and an x-ray if necessary, Dr. Goodman will identify and correct the origin of your pain. We will also advise you on lifestyle changes that you can do to prevent the issue from coming back. Our skilled chiropractor will provide you with the lower back pain relief you’ve been seeking. To see if chiropractic care is right for you, don’t hesitate to consult with us. Make an appointment today by calling 254.776.1030. We will start by distinguishing the root of your pain. From there, Dr. Goodman will correct these issues with restorative care and wellness plan tailored for you. Dr. Goodman is a highly skilled and experienced chiropractor who has worked with hundreds of patients suffering from back pain. This condition, which affects more than 70% Americans at least once in their lives, responds favorably to the natural and holistic wellness care that we offer at Heart of Texas Chiropractic. Our best approach is to identify the source of the pain early on and sustain the strength of your body to stop relapse injuries. When you schedule an appointment, Dr. Goodman will do a thorough exam and discuss your physical history to discern what you need to get back to your daily activities at the soonest possible time. We offer chiropractic care that can be an excellent way to relieve and manage the inflammation and pain brought by low back pain. Our routine chiropractic treatment also provides our patients with a non-invasive and non-addictive option to help them fare with the pain and swelling. Dr. Goodman delivers gentle chiropractic adjustment techniques to help put our patients at ease while treating their condition. These chiropractic adjustments significantly reduce joint misalignments to help lessen the inflammation and improve the general function of the body. If you are suffering from back pain, please don’t hesitate to give us a call today. At our clinic, we help patients get back on their feet. Clutching the lower back is a common sign that someone is suffering from lower back pain. Since this region of the spine has a lot of loads to bear, severe injuries and chronic back pain can make it significantly harder for the back. Fortunately, you can rely on the best treatment for low back pain that is natural and non-invasive from Heart of Texas Chiropractic. For some, back pain is a constant occurrence. For others, daily physical activities cause muscle tension and aggravate the spinal nerves. While it can impact your health and overall well-being, the good news is that this condition is treatable. However, it can cause you to experience numbness, tingling, headaches, burning sensations in some areas of your body, as well as the emotional symptoms associated with your back pain. Both men and women can be equally affected by low back pain. It can vary in intensity from a mild, dull ache to a sharp and sudden pain. This type of pain is usually a result of an injury to a ligament or a muscle. When you have a healthy lower back, it can endure forces without injury or damage. However, when you have a weakened lower back, the supporting muscles can be significantly at risk. Regular, daily activities as simple as standing up or picking something off the floor can pinch a muscle and cause pain in the back. Most cases of lower back pain can last several days to a few weeks. Whichever one it is, it is essential to seek proper care and treatment immediately. It can be uncomfortable and upsetting, but don’t let back pain stop you from living your life. At Heart of Texas Chiropractic, we’ll work with you to not let this pain and discomfort lessen your quality of life.